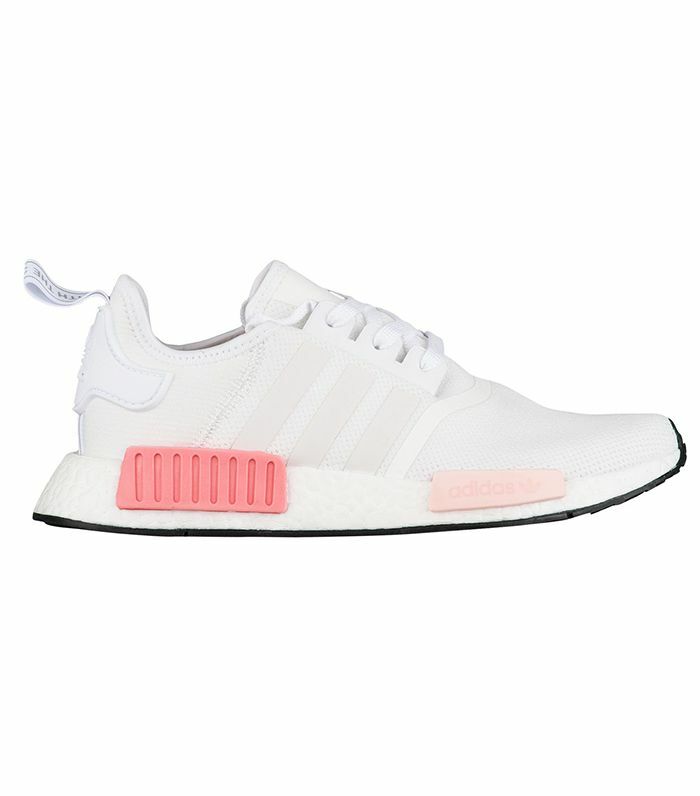 If you have any interest in sneakers at all (and we assume that you do since here you are with us), you're probably aware that it doesn't get any more "It sneakers" than the Adidas Originals NMDs. Since first being released in December 2015, the ultra-popular mesh shoes with the brand's signature Boost midsole and subtle stripes will likely go down in history as the most famous sneaker release of our decade. And their popularity doesn't seem to be wavering, as each new color combination that's released is met with feverish excitement. The latest shade to enter the market is exclusively for fashion girls, and it's as pretty as sneakers could possibly be, in our opinion: all-white with Millennial Pink rubber details. To the surprise of no one, the sneakers have almost sold out everywhere since their release on Saturday (as in two days ago), but Adidas's site still has a few sizes in stock (for the time being, at least). See what we mean when we say "pretty sneakers" and shop them below! Next up, check out another newly released Adidas It sneaker style.